Click here to see directions on Google Maps. 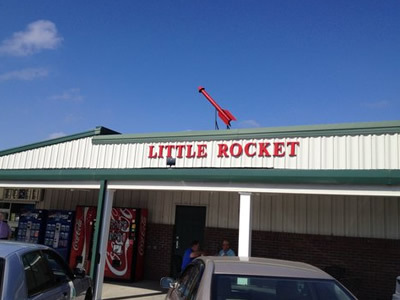 The Little Rocket has been a local landmark in Farmville since it was built in 1963. Owned by the Strickland family since 1997, the Little Rocket is known for its famous hot dogs, cheese biscuits, homemade banana pudding, and chicken salad!